Eating too much chocolate can increase your body weight cholesterol, and lead to health problems. Balancing you chocolate consumption with an alternative (such as carob) can help reduce the possibility of developing health risks associated with excessive weight gain. You can also readily buy alternatives to milk chocolate, which use rice, or soy milk instead of dairy milk. Eating an alternative to chocolate is also a good option for vegans or people who are allergic to, or intolerant of the dairy products that are present in milk chocolate. Many people also want to avoid eating chocolate because of its high sugar content. The health implications of eating chocolate can also prevent diabetics from enjoying it as its high sugar content can upset blood sugar levels. Manufacturers are now producing ranges of sugar-free chocolate designed especially for diabetics and dieters. Carob is considered to be a healthy alternative to chocolate. The carob tree is native to Mediterranean areas and has been used in cooking for over 20 years. However it has been mentioned in Biblical tales and was also used in numerous ways by the ancient Egyptians. Carob is free from the (sometimes addictive) stimulants present in chocolate, such as caffeine and theobromine. Carob is also naturally sweet and therefore carob products contain less sugar than chocolate products. Carob is also free from phenylethylamine (which is also present in chocolate), which can trigger migraines. Carob contains vitamins A, B, B2, B3 and D. It is high in calcium, phosphorus, potassium and magnesium and also contains iron, manganese, barium, copper and nickel. 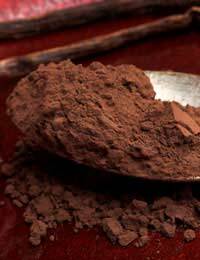 You can also use carob powder as an alternative to chocolate in cooking, in recipes such as chocolate cakes, desserts and hot drinks. Make sure you sieve carob before use to add air when using in baking. There are several varieties of dairy-free chocolate on the market that tastes very similar to milk chocolate. Manufacturers use rice or soy milk instead of cows’ milk, so you get all the taste of milk chocolate without the addition of dairy products. The quality of such dairy-free chocolates is superb and is a good match for milk chocolate. Dairy-free chocolate can also include plain chocolate, which will normally not contain any dairy products such as milk, whey powder or butter. There is also a varied range of sugar-free chocolate on the market. Sugar-free chocolate is especially good for diabetics, and is sometimes known as diabetic chocolate. Many of these chocolates contain chemical-based sweeteners such as aspartame. However some chocolate manufacturers use a natural alternative to sugar called Xylitol, which is made from birch trees. Xylitol is thought to benefit oral health so is therefore ideal for those who do not want sugar to be replaced by chemical alternatives. While chocolate makes a delicious treat, its best enjoyed in small quantities. Chocolate contains a lot of sugar, and stimulants such as caffeine and theobromine, which can be addictive. Chocolate also contains phenylethylamine, which is thought to sometimes be responsible for migraines. Milk chocolate contains dairy products such as milk, cream and butter, which is unsuitable for vegans and people who are allergic to dairy products. There are plenty of sugar-free, dairy-free and even chocolate-free alternatives to chocolate, which are delicious and can still provide you with the delicious taste of chocolate.